For the first time the inauguration of the President was held on January 20, pursuant to the provisions of the 20th amendment to the Constitution. 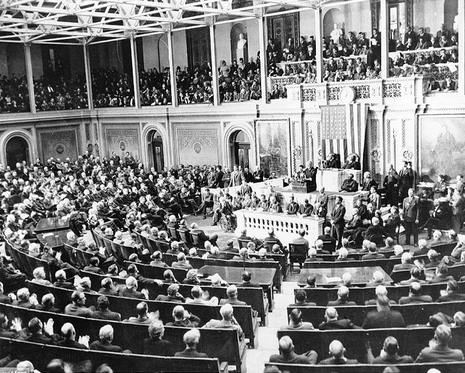 Having won the election of 1936 by a wide margin, and looking forward to the advantage of Democratic gains in the House and Senate, the President confidently outlined the continuation of his programs. The oath of office was administered on the East Portico of the Capitol by Chief Justice Charles Evans Hughes.